If you’re as curious about the history of your vintage collectibles as you are passionate about displaying them in your home’s decor, you’ll want to add the Smithsonian Institution’s National Museum of American History to your bucket list. Its vast archive of ordinary objects spans American history from the Colonial period to the present and includes a wide gamut of items: an elaborate vase carved of wood from the USS Constitution and given as a wedding gift; the table and chairs used by Robert E. Lee and Ulysses S. Grant during the negotiation at Appomattox Court House, Virginia, that ended the Civil War; and a galvanized bucket used in the Eisenhower-Nixon campaign are all preserved in the museum’s archives and showcased in William L. Bird, Jr.’s new book, Souvenir Nation: Relics, Keepsakes, and Curios from the Smithsonian’s National Museum of American History. 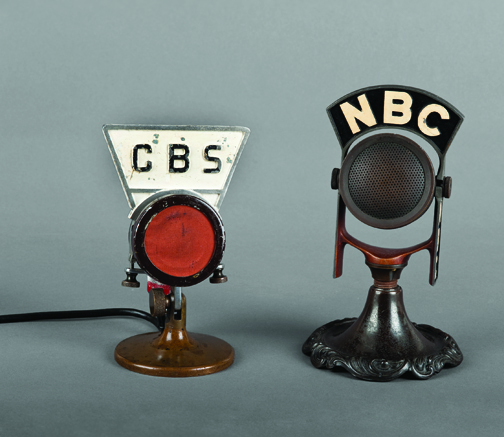 The Smithsonian Institution’s vintage collectibles archive includes the microphones used by President Franklin D. Roosevelt to give his “Fireside Chats” from 1933 to 1945 to strengthen the nation’s hope and courage to endure the Great Depression and World War II. Take these chairs as an example of how ordinary vintage collectibles reveal America’s evolving relationship with the world at large. 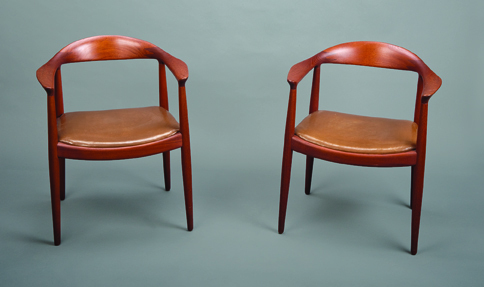 These Mid-Century Modern teak chairs were used by John F. Kennedy and Richard M. Nixon for their historic television debate on September 26, 1960. “The chairs’ sleek, functional design reflected the candidates’ forward-looking aspirations as well as those of the broadcast-industry executives who had long hoped to stage such a television meeting,” Bird writes. While the American candidates understood exactly what the country’s voters felt in 1960, it took a Danish designer, Hans J. Wegner, to create the look that communicated their progressive ideas. 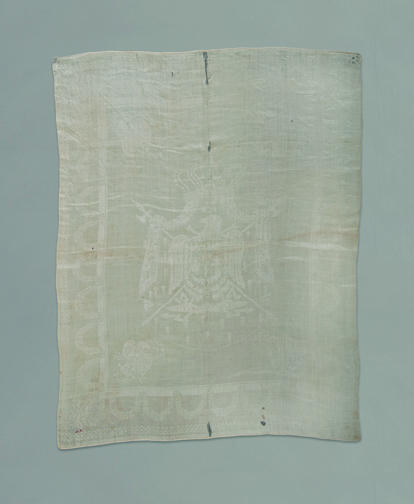 A French linen napkin Napoleon used at breakfast and pompously gave to an American traveller as a souvenir (circa 1815). In the end, Souvenir Nation reveals a “continuity with the past”: our passion for searching through flea markets for vintage collectibles that speak to us is just another manifestation of a basic human need to preserve our past. As Bird writes, the Smithsonian’s collection showcases our ability to discover “in the smallest and most personal of things” the humanity of people long gone. 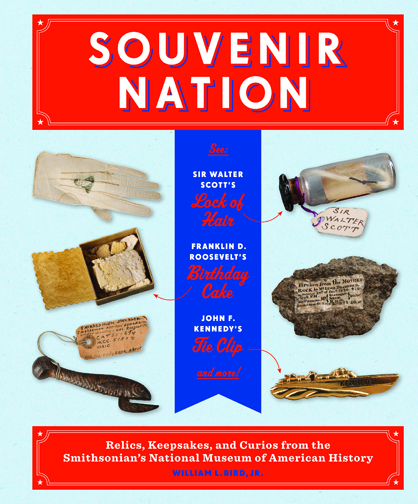 Learn more about the Smithsonian Institution’s Victorian collectibles archive here–or pick up a copy of Souvenir Nation. Photography previously seen in Souvenir Nation by William L. Bird, Jr., published by the Princeton Architectural Press in 2013; images used with the publisher’s permission. This entry was posted in Hot Collectibles and tagged Danish modern, Depression era finds, flea market finds, mid-century modern, mid-century modern chairs, mid-century modern design, National Museum of American History, Smithsonian Institution, Souvenir Nation, vintage chairs, vintage collectibles, vintage finds, vintage industrial finds by Flea Market Decor. Bookmark the permalink.